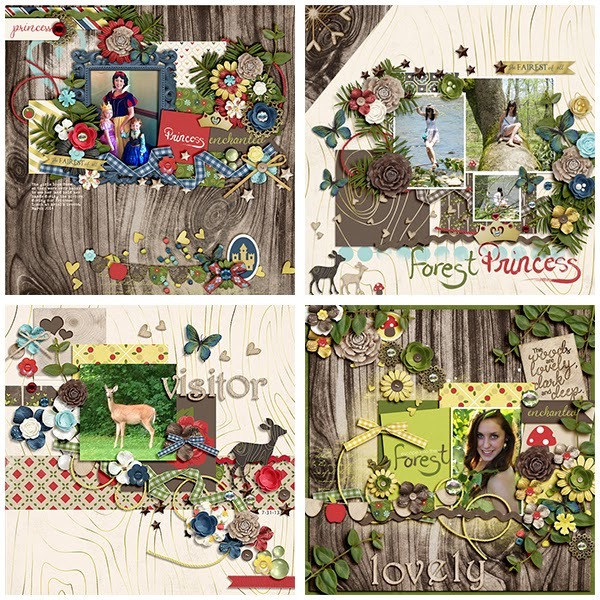 Fuss Free: Woodland Princess and Fuss Free: Woodland Princess 2 are sets of templates designed to coordinate beautifully with the Woodland Princess Collection by Dream Big Designs. 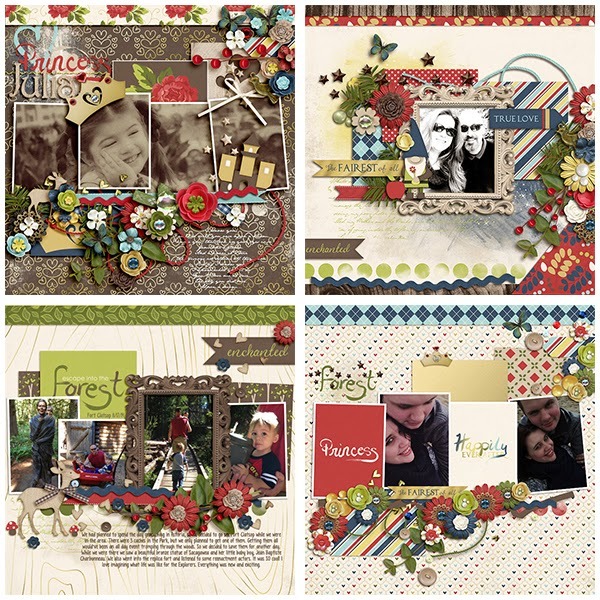 Whatever magical moment you have to scrap, these templates are the perfect choice. 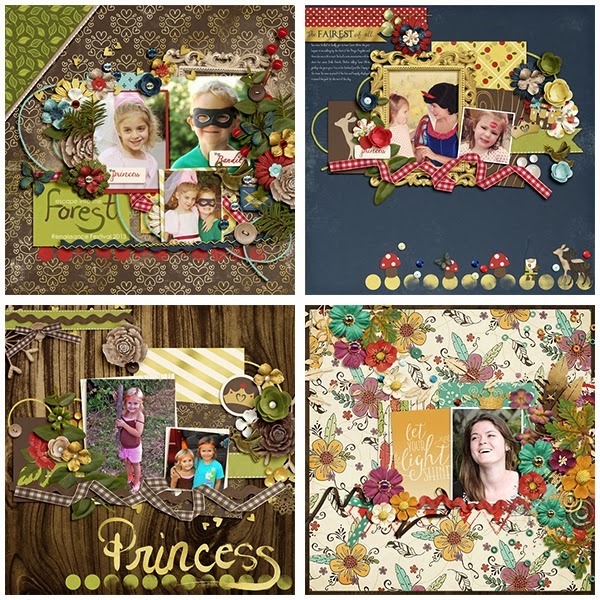 Filled with a variety of photo shapes, leaves, flowers, sequins, star scatters, flags and journal cards, each template helps you to create a woodland layout fit for a princess! You can also buy the products separately in Dream Big Designs' store. 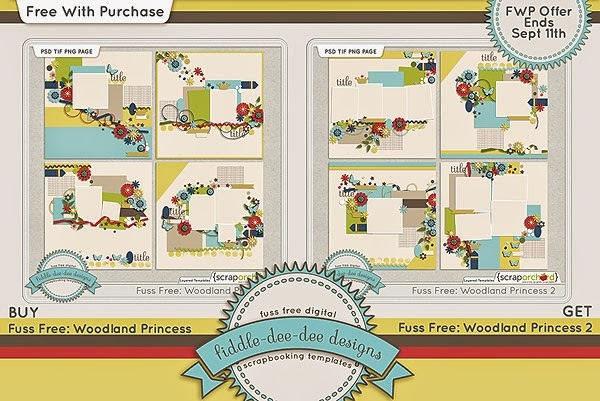 Purchase Fuss Free: Woodland Princess and receive Fuss Free: Woodland Princess 2 for free! Offer valid through September 11, 2014. 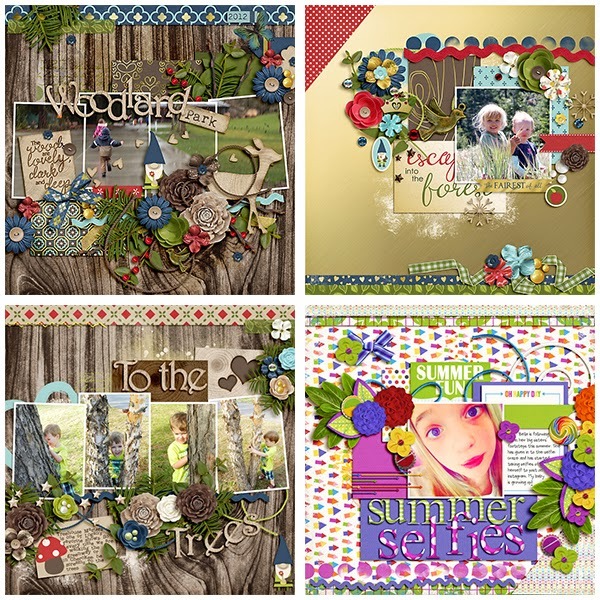 I am excited to share that I'm in the September 2014 Scrap Pack at Scrap Stacks! There will an upcoming day where my template pack will be featured with some fabulous example layouts as well as full interview. I'll be sure to post that information as soon as I get it. In the meantime, don't hesitate to pick up this Scrap Pack! It's only $5 for all 4 of these products! The September Exclusive Template for my Facebook Fans is available on my Facebook Fan Page. Once you get to my Fan Page, make sure you have "liked" the page and then click on the EXCLUSIVE GIFT under the cover image or click on the EXCLUSIVE GIFT FOR FANS thumbnail in the left sidebar. You will be able to download the September template from there. 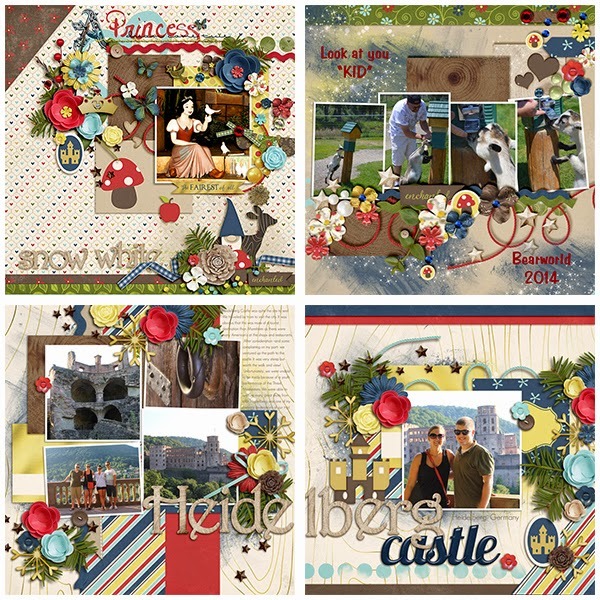 The September Template Challenge has been posted at My Scrapbook Art and you can download this free template for your stash. I've been recording my screen in Photoshop Elements as I create some of my most recent layouts. If you are interested in seeing my scrapbooking process, please head over to my YouTube channel to view some of my "Watch Cheryl Scrap" videos! I hope you have a magical time creating with these templates. Happy Scrapping!